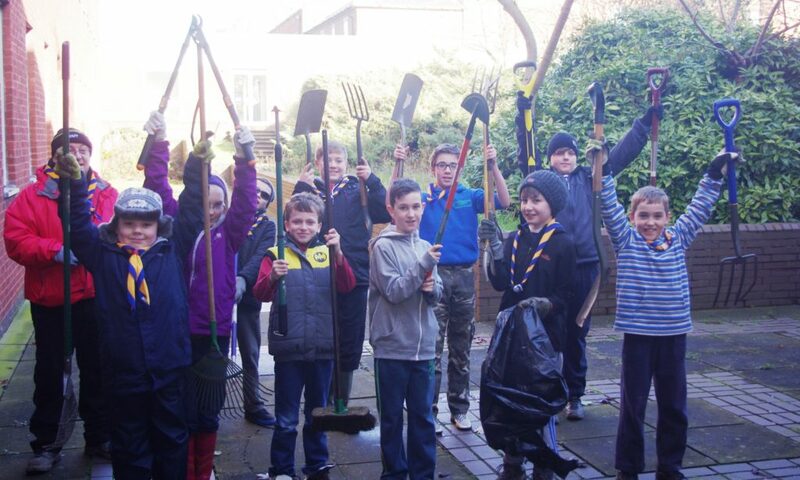 Robert Woodhead Limited responded to a call for help from the 1st Edwinstowe Scout Group. The local youngsters needed to get up to 15 hours hands on experience to complete their Environmental Group Badge and the Small Holding Badges. Robert Woodhead staff and Scout Leaders were on hand to help ten scouts get to grips with landscaping, pruning and clearing shrubbery.